Recently my daughter had a play date with a friend that has a peanut allergy. Although I had her EpiPen at the ready, it’s kind of normal to want to ensure that a child in your care doesn’t go into anaphylactic shock! With this in mind, I avoided peanut butter on toast that morning and headed off to the supermarket to find some suitable post-lunch treats. I wasn’t very successful and it made me realise just how difficult shopping for someone with a food allergy or intolerance can be. Stats from the charity Allergy UK, estimate that 45 per cent of UK adults suffer from food intolerance, while 2 per cent have been diagnosed with a food allergy, and that general allergies are on the rise by 5 per cent annually. 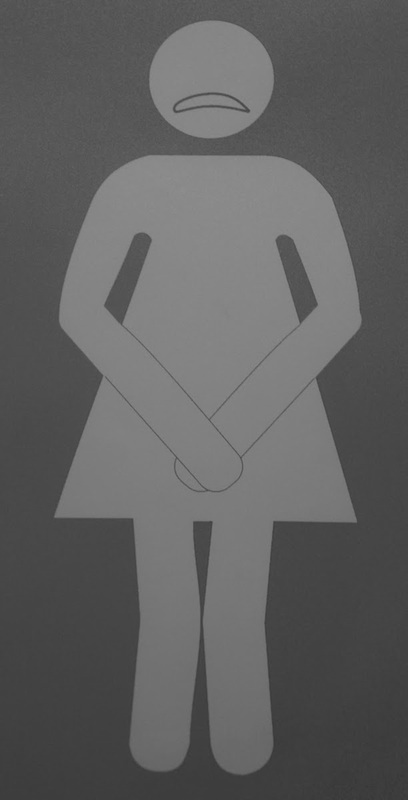 While a food intolerance or sensitivity might be delayed and include bloating, nausea, an urgent need for the loo, migraine/headaches, skin rashes, joint pain, runny nose or Irritable Bowel Syndrome, symptoms of severe food allergic reaction are often immediate and include tingling of the lips, swelling of the lips/tongue/throat, projectile vomiting, difficulty in breathing, faintness and collapsing. Serious stuff. Especially on a play date! So if you or a member of your family has an allergy or intolerance (details on how to check can be found here) how can you eat a balanced diet and find food you enjoy? Well, since shopping is one of the things I do best, I had a little nose around the shelves for you! (You're welcome). Food retailers have now had the good sense to dedicate a few shelves (or even an aisle!) to ranges that cater to those with special eating requirements – or you could try a local health food shop. One range to look for is ‘Free & Easy’, which is free from key allergens such as wheat, gluten, dairy and nuts, as well as artificial additives and preservatives but low in fat, salt and sugar. 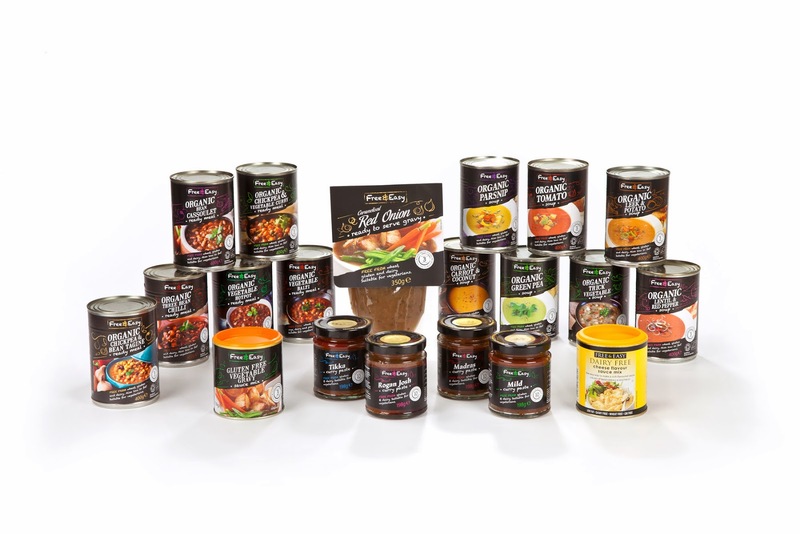 There’s a wide range of products to help you create delicious vegetarian dishes (like curry pastes and sauce mixes) or you can plump for organic soups (carrot and coconut sound good?) and ready meals (like veg hot pot and veg balti). The range also includes drinks, with prices starting at £1.35. Free & Easy - the way shopping for allergies and intolerances should be? Georgia’s Choice is another range of high-quality, gluten-free food – snap frozen for convenience. The products are the result of founders Pauline and Gary's search to remove additives from daughter Georgia’s diet when she was diagnosed as being on the Autistic spectrum at the age of five. They developed a commercial range of convenient, but additive-free foods, and later when Georgia tested positive to gluten intolerance, they went back to the kitchen to develop recipes free from wheat and gluten too. Look out for family-friendly dishes such as beef lasagna (made using only British beef, reared and slaughtered in the UK) and fish cakes. ‘Gutted’ you miss out on chocolate? And good old Holland & Barrett won’t let allergy and intolerance sufferers miss out this Easter either. It has an exciting range of body friendly Easter treats, including the award-winning Booja-Booja Hazelnut Crunch Truffles eggs, which are organic, dairy- and gluten-free and suitable for vegans. Each egg is handmade and decorated by a community in Kashmir, India. The ‘Choices’ range also features dairy-, gluten-, wheat- and egg-free Caramel Easter Eggs with Caramel Flavoured Truffles and pocket-sized, dairy-free bunny bars in milk and white chocolate, suitable for vegetarians and vegans. The Children’s Dairy Free alternative to white chocolate egg in this range was shortlisted in the Freefrom Food Awards and is free from dairy, gluten, wheat and egg. For some people, diary products can be a nightmare causing digestive problems and compounding eczema in children. Lactose intolerance for example is the body's inability to produce enough of the enzyme, lactase. If this is the case, the lactose in dairy products can’t be digested properly, which causes nausea, cramps and bloating. If you are suffering these kinds of symptoms there are several ways you can tackle the problem. First up, why not try switching to a2 Milk. It’s a natural milk from British cows that differs from your usual pint because it comes from specially-selected animals that produce milk naturally-free of the A1 protein. It has proved popular down under (that’s not a pun!) and can be a first step if you are suffering digestive discomfort after consuming milk (but it is not suitable for those with a diagnosed milk allergy or lactose intolerance). Find it in Budgens, Booths, Morrisons, Tesco, Waitrose and Ocado. 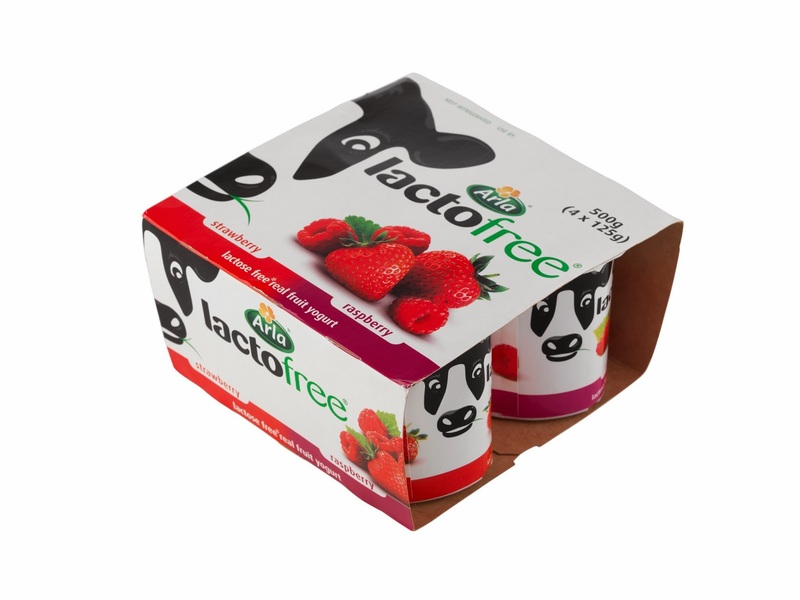 If instead you need to avoid lactose altogether, try Lactofree, the UK’s only lactose-free dairy range, which includes whole, semi-skimmed and skimmed dairy drink (fresh and UHT), hard and soft cheese, fruit yogurts, UHT portion packs, cream and spreadable. My girls have worked their way through the range and can attest that the yoghurts and cheddar are particularly tasty! For a lactose-, casein-, cholesterol-, gluten-, GMO- and soya-free dairy alternative (phew! ), you could try 3-Omega-6 Dairy Free Flax Milk (£1.89 1l). Made with flax seed oil, the milk packs a terrific nutritional punch – just one 240 ml glass has 1,200 mg of omega 3 (about two-thirds of your recommended daily allowance), as well as one gram of protein, 288 mg of calcium and vitamins K and D2, great for bones and teeth. Better still, 3-Omega-6 won’t curdle in tea or coffee and can be used in place of dairy milk in most recipes such as smoothies, rice puddings, ice-creams, soups and cakes. This is one to look out for in health food stores such as Wholefoods and Revital (will hit Holland & Barratt shelves from June). For a complete listing of dairy-free products such as this, you could also try looking at the Vegan Society’s website. If you are having digestive problems or other health concerns that you think are related to the foods you eat, please pop along to your GP to discuss the issue. Have you or your child been affected by food allergies or intolerances? And how have you found shopping for yourself and your family? I’d be interested to know what approach you take – and any brands you’d recommend in the comment box below. My son had a milk allergy until he was 1 so we had to give him special formula. Luckily the difference in price (which is significant) was covered by our French healthcare. Aside from that, we just had to avoid anything with milk in it, which is harder than it seems. Like, you'd go to buy a premade baby dinner of peas and ham and there would be milk in it. Why? It taught us to read labels carefully because you just never know what's in there! Fortuntely our son isn't a picky eater and he found plenty of other things to enjoy. Now that he's cleared of his allergy he's going nuts on all the stuff he missed! I found that when looking for things for the girl with the peanut allergy - all products seem to be made on production lines that sometimes come into contact with nuts. Very difficult to shop with that allergy particularly. My youngest had bad eczema as an infant - but is dairy mad - I wish I'd found some of the ranges above to try out on her then - but hopefully if someone is in the situation now I've done some legwork for them! Thanks for commenting. Allergies are a nightmare ): I'm allergic to Whey Protein (milk), and super severly intolerant to Lactose, so I'm 100% dairy free. I'm also, randomly, allergic to mushrooms. Beef makes me sick too. So awkward trying to find anything to eat! Eeek! That sounds a nightmare, I feel for you. There does seem to be some great dairy-free ranges though - and all that omega 3 in them is a bonus! Thank you for commenting - and likewise with the blogs, how did you arrive here by the way? Great post thankyou, i am diagnosed coeliac along with many intolerances, as you say until you start looking you do not realise how many foods contain or even may contain traces of allergens. I have never heard of the a2 milk so will be looking out for this on my next shopping trip. I'll probably be 'reporting' back from a roundtable and conference that is happening this week - all about the a2 milk, so will keep you posted. Thank you for commenting - and for liking the AHappyHealthyMummy page on Facebook. I don't have food allergies, and neither do my kids, so having to be really careful about allergens isn't really on my radar. A couple of years ago, though, I was at a restaurant and the parents were trying to order lunch for their young daughter. It sounded like she was allergic to everything! Finally, the chef had to come out to talk with the parents about how the food was going to be prepared and what she could eat. It was a reality check - having a child with food allergies would be so different than what we are used to! I love that there are brands making it easy to find safe and healthy foods for people with food allergies. Thanks for linking up to Wordy Wednesday and sharing this - this is helpful info! Hi Carrie, thanks for visiting! Yes, the more I researched the more I realised how fortunate my kids are - not to say how much easier it is for me as a parent too! Hi, thanks for popping by and commenting. I do think things are improving for those with food intolerances/allergies - but I'm sure it's still hard work.